Welcome back to the online gallery tour! I am pleased to announce that I will be highlighting the art from numerous students who have taken workshops in the online teaching network that I run with Golden working artist Chris Cozen. Students were asked to submit their artwork from any of our workshops and the collection is nothing short of amazing. Every Friday I will highlight some of the art and provide you with a link to the artist so that you can visit their blogs too. My hope is that this "open house" gallery tour will build new friendships and open dialogue all over the internets. Please visit the artists and leave a comment to let them know you where there! This week we will look at artwork created in the Layer Love v2.0 online workshop. For more information on the workshop that inspired these pieces, please click here. Otherwise, grab your coffee and I hope that you take a moment to visit each of the artists that made these contributions. Don't forget to stop by next Friday...we will continue the tour! 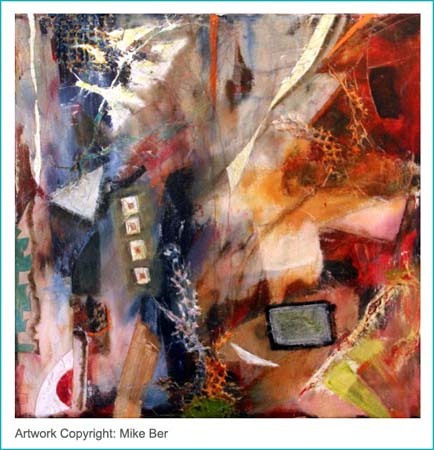 Mike's painting is inspired by the Layer Love v2.0 course. Click on the image to be taken to Mike's website. Go and visit Deborah by clicking on her painting above! How about a visit to Judy? Click her painting. Say hello to Kitty! Click on her painting to visit her latest art. You can visit previous installments of the gallery tour by clicking on the Art Gallery Tour tag below. Be sure to stop by next week...we're highlighting Chaos and Calm..and it's going to be amazing!